To see all sectors of Grove Park flourish through the dignified empowerment of its leaders, specifically in the areas of dignified housing, job development, and family flourishing. Vision: To see all sectors of Grove Park flourish through dignified empowerment of its leaders. Mission: We discover effective leaders, develop local leadership, and disperse resources for the sake of dignified housing, job development, and flourishing families. 2003-2013: Daniel Iverson led a holistic community development organization in Newark, New Jersey and was trained as a Pastor at Reformed Theological Seminary. 2009: Restore Life was founded by Jim Moon to help his church in Smyrna, Georgia reach the marginalized in their community. 2013: Daniel Iverson met Jim Moon after being called to Atlanta by Perimeter Church to launch a new work in the city focused on holistic renewal. 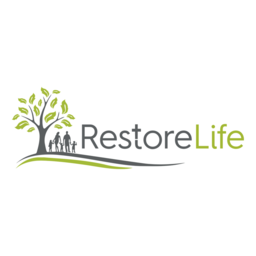 2014: The Restore Life board hired Daniel Iverson as their new CEO to re-envision and re-tool the organization. 2015: All operations were moved into the Grove Park community of West Atlanta to work alongside Shalom City Church, a Perimeter Church plant Daniel was leading. 2016: Restore Life re-tooled with a new vision for empowering collective impact in Grove Park and opened their first location in partnership with Paradise Baptist Church. The main supporters of this endeavor have been Perimeter Church, Paradise Missionary Baptist Church, Shalom City Church, Fellowship of Companies for Christ International, and over 100 other committed donors and volunteers who believe in this ministry and the redemptive work Jesus is doing in Grove Park. *Human Dignity is being compromised because of sin, placing the community at risk. *Competition instead of collaboration = limited, isolated, and unsustainable impact *Residents systemically disempowered to participate in the community’s restoration. We need a backbone organization to put resources and energy into gospel driven collective impact in order for the community to be restored in a just and sustainable manner. We believe that effective leadership from existing community members is a key component in preventing unhealthy gentrification. With this belief, it is the mission of Restore Life to develop healthy community leaders who can lead the Grove Park community towards a healthy, sustainable, and equitable future. Through the dignified empowerment of our neighborhood leaders, our aim is to see holistic flourishing that stretches across all sectors of the community. As these leaders develop their own businesses, non-profits, ministries, or educational programs, our heartbeat and passion is to ensure that every opportunity for development is accessible. This includes access to funding, volunteers, development trainings, consulting, counseling, and general connections with other successful leaders in the Atlanta community. We believe that collaboration is always better than competition, and we believe every person has a good idea worth investing in.